The man who prompted schools and medical facilities in Oelwein to be locked down last Friday is now in custody. Fayette County sheriff’s officials say 28-year-old Emilio Torres of Oelwein turned himself into authorities without incident on Monday. His arrest ended a three-day search that involved multiple agencies. 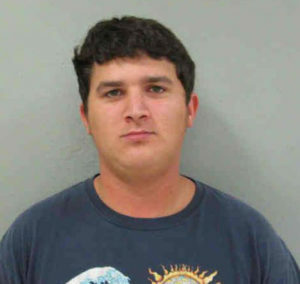 The incident that triggered the search for Torres happened Friday morning, when authorities learned that a man was possibly walking around Oelwein carrying gun after allegedly being involved in a domestic dispute. Police confronted the man, later identified as Torres. Police say he reached for a gun and was involved in an altercation with an officer, then left the area. As a precaution, all Oelwein schools were placed on lock-out status Friday. Mercy Hospital and a medical clinic were put on lock-down. Torres is being held in the Fayette County on a variety of charges.